1. If the entire universe is a maximum of 15,000 years old then the speed of light is not a constant 299,792,458 meters per second. 2. The speed of light is a constant 299,792,458 meters per second. 3. Therefore, it is not the case that the entire universe is a maximum of 15,000 years old. Using modus tolens, we can see that one must either reject the constancy of the speed of light or reject the young-universe proposition that the universe has only existed for 15,000 at the most. However, there are other extra-scientific possibilities which should be considered before a final judgment is issued. For example, some such as Gary North, argue that astronomers’ measurements of the size of the universe are simply wrong. Often, as Hugh Ross points out, those arguing this point are under the misleading notion that scientists only use the unreliable redshifts to measure astronomical distances. However, scientists actually use a wide variety of methods to measure distances within the universe. If, nevertheless, the young-earthers are correct, then the truthfulness of their proposition would require that the scientists’ distance measurements be off by more than 200,000,000 percent. This is very implausible. Entire textbooks have been written just on the measurement of distances within the universe, and one thing we are sure of is that the possibility of anything more than a 10-15 percent range of error for the calculations of the distance of stars is not only unlikely, but also contested by nearly all astronomers. Consider that this 200,000,000 percent error in calculation on the part of astronomers also applies to the actual scale of the universe if the young-earther is correct in offering this argument. If the argument is sound, then the universe is 200,000,000 percent smaller than astronomers have calculated. In support of this argument that God created the light in transit, the parallel is often drawn between the light being created in transit and Adam’s being created full-grown. However, this is not a parallel, because though Adam was created looking grown up, we have no records or visible evidence that he was ever a child for this to contradict. For the parallel to exist, there would have to be some sort of scenario where we can “see” Adam as an infant, though we know better than that. Such a scenario does not exist. Adam – it is alleged – was created with the appearance of having lived for many years, but this is not the same as the starlight problem, because we can actually see the stars as they were millions of years ago, yet it is being asserted that they did not exist millions of years ago. In order to be effective, the analogy of Adam with starlight must be parallel, though this is certainly not so. My basic argument is that if one wants to deny that the stars which are millions of light years away existed as we see them, then they are not epistemologically justified in believing in the existence of the sun. In the same way that we see the sun several minutes after the light leaves it, we se distant stars millions of years after the light leaves them. There is only a quantitative difference between them. To deny the existence of these stars billions of years ago is to undercut the very science upon which the young-earth creationists attempt to build their own “scientifically” based approach to apologetics. Let x be anything which can be seen with the human eye and y be any other object which can be seen with the human eye. 1. If x appears to have properties of existence yet does not, then one is unwarranted in believing in the existence of y. 2. One is warranted in believing in the existence of y. 3. Therefore, it is not the case that x appears to have properties of existence yet does not. 4. Therefore, if distant stars appear to have properties of existence yet do not, then one is unwarranted in believing in the existence of the sun. The final argument which should be seriously considered is that which says that the speed of light was much faster thousands of years ago, though it now does take many light years for light to reach the earth from distant stars. From a scientific perspective, there is no question that the speed of light is constant, and according to all scientific studies and measurement, has always been constant for at least the last 14 million years. The question that must ultimately be answered is, has God constituted the universe in a constant way so that induction is possible? As Hume asked, do we have any assurance that tomorrow will be like today? Given the Christian worldview, we do, but this seems to be called into question by this response. If the speed of light has changed, then the possibility of induction seems to have been severely compromised. This may not seem so at first, but when one philosophically considers what happens when one falls back on the inconsistency of the universe to sustain their scientific hypothesis, they will find a fundamentally unscientific response couched in scientific terminology. Without induction, science is impossible, and without consistent laws of the universe, induction is impossible. 1. If one is justified in believing that the speed of light is not constant, then no one is justified in believing in induction. 2. The speed of light is not constant. 3. Therefore, no one is justified in believing in induction. Those who hold to a young-universe perspective do so in contradiction to relatively simple astronomical observations. In response to these observations, they are forced to deny the consistency of science, and therefore to remove their own foundations for other scientific arguments which they then readily use after just having denied it. They rather conveniently pick and choose what data to use and what to refuse depending on whether the data at a given time suit their conclusions. This methodology not only sends a message to the unbelieving world that Christians are unwilling to be consistent in their argumentation, but also that we do not believe God himself to be honest or consistent in the universe that he has presented us. Even worse, this type of thinking leads us to the Gnostic, cultic notion that “there is no life, truth, or substance in matter,” if we choose to take the path which yields us a world of illusion. According to the book of Romans, God has made himself known to all men – not only in the Scriptures, but also in different ways throughout the physical, observable universe in which we live. The heavens declare the glory of God - none would doubt that. But do they declare the dishonesty of God? I submit that they do, if the universe is not tremendously older than the young-earthers claim. *North, Gary The Dominion Covenant: Genesis (Tyler, TX: Institute for Christian Economics, 1987) 255. "Without induction, science is impossible, and without consistent laws of the universe, induction is impossible." 1. If one is justified in believing that water can turn into wine, then no one is justified in believing in induction. 2. Water can be turned into wine. Adam, how do you deal with miracles? It seems like you prove too much. I can use water in a scientific experiment and still believe that it was once turned into wine and blood on another occasion. Faris, I can appreciate the strength of what you are saying. What I have a problem with is not, of course, miracles, but seeing someone turn water into wine and then being told that this event never occurred. The idea that an observed event has not occurred is the tremendously problematic "illusion" which I am taking issue with. I believe that water can be turned into wine, because God can do anything, but that doesn't make hay of induction. What makes hay of induction is witnessing water being turned to wine and then finding out that you did not just see water turned into wine; you just saw an optical illusion. There's no parallel here, unfortunately. Nice post. It is well written and well argued. Just so my cards are on the table, I lean in the direction of a young-earth model. It seems fundamental to your point that the speed of light is constant. However, in this video William Lane Craig argues that the speed of light is "unprovable" by science and is something that is just assumed (He does say it is rational to make this assumption). You seem to be arguing that it can be proven (right?). Can you (using others work I assume) prove that the speed of light is constant? A few years ago on the John Ankerberg Show, I heard Hugh Ross say that if he was convinced that the Bible taught a young earth, he would believe that, in spite of his astronomical observations. (But of course he does think that the Bible allows for an old earth). Would you, Adam, agree with Dr. Ross's statement? "In this case, a disclaimer is usually given saying that the argument for a decrease in the speed of light may be true but has not been generally accepted. I dealt with this issue in some detail in volume 1, number 2, of Facts & Faith. There I showed that the "decrease" was really a refinement of the measurements. When we examine more data and consider the error bars, we see that the velocity of light is, indeed, constant. 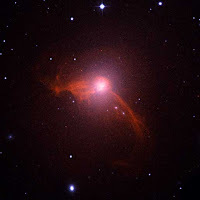 One group of astronomers conducted an experiment which showed that it has been constant for at least 14 million years. It is also worth noting that a significant change in the velocity of light would so radically disturb the luminosities of the stars or the relative abundances of the elements as to destroy the possibility for life anywhere, anytime in the universe." Here is a web page where they discuss the history of the measurements of the speed of light. John, thanks for the kind words. As to your first question, I took some time to read the link you posted, and I suppose at the end of the day, the time dilation theory seems like the "speed of light is not constant" theory. After all, they are basically saying that the universe is different now than it used to be. If I were a scientist, I'd probably have a lot to say about the time dilation theory, but I'm more a philosopher than I am an astronomer, unfortunately. As far as Hugh Ross' quote goes, I agree. I do not, and never have as long as I have been a Christian, believed that the Bible leaves out the possibility that these "days" could not be understood as "stages" of God's creative process in bringing the universe/earth into being. Ever since I first became a Christian, I always believed Genesis to be speaking of "stages." It's just always seemed a natural possibility; after all, as Calvin says, God speaks to us in the Scriptures, but He does it through a 'lisp'. Adam, thank you for taking time with me on this issue. I do think this issue is important. If the Bible truly does teach a young earth, and we think otherwise because of scientific considerations, then what's next? Should we stop believing in the Virgin Birth, or the Resurrection, because scientists tell us these things cannot happen? I assume that you do believe in both the Virgin Birth and the Resurrection, but I think my logic is sound, given my 'if' statement, even if you yourself don't accept a young earth. The question which continues to assert itself, then, is: Does Scripture teach that the creation week was six 24-hour periods? One passage which has convinced many people that this is so is Exodus 20:9-11. I also find convincing the idea that people and animals were vegetarian until sometime after the Fall. (Genesis 1:29-30) With an old earth, this is impossible. As well, if the six creation days represent long ages of time, there are many time-order problems. For instance, the sun, moon, and stars are created after the earth, in Genesis 1. This of course contradicts what most mainstream scientists believe, that stars came first, then the earth. Thanks for dialoguing with me about this. I don't think it's *as* important as some, but I do think it's an important subject or else I wouldn't have expended energy writing this post, after all. I subscribe to the "framework" interpretation of Genesis 1 and 2. This is in contrast to the "day age" interpretation. According to the "framework" view, the passage in Genesis 1 and 2 "describes God's creative acts topically, and that the succession of days is a literary device for presenting those topical categories." This view does not assert a chronological sequence. I subscribe to the framework interpretation of Genesis 1 and 2 precisely because of the chronological problems you point out. You and I clearly differ on what "death" meant before the fall. I believe that Tigers, created for pursuing their prey with sharp teeth would have had a difficult time chewing on plants. I believe that the food chain existed before the fall, and that the death of an animal is of no spiritual significance. My belief is that before the fall, people did not die, and there was no sin in the world. I know a lot of Reformed people who aren't even old earthers who would have a problem with the idea that everyone on the planet was a vegetarian before the fall. It's unfortunate, John, that you see here a slippery slope. The idea that accepting that stars really existed millions of years ago would lead to denying the virgin birth tells me you are either unwilling to understand things from the old earther perspective or that you may fear any sort of light that natural revelation might be able to shed on God's created order. It also tells me that you do not believe that my claim to believe Genesis 1 & 2 is genuine. I assure you, if science tells me that virgin births are not real, I will still believe in virgin births. If science tells me that resurrections do not happen, I will still believe in resurrections. But if the text leaves room for various interpretations of Genesis 1 & 2, then this is not anything resembling a slippery slope, resulting in a liberalized Christianity devoid of miracles or risen saviors. It sounds like you believe that, while the earth was created in ages, that Adam and Eve were created as fully developed people and were not the process of theistic evolution. Is that correct? I would agree with you that the Biblical text leaves room for an old earth, but I do not think it leaves room for Adam and Eve to be the product of evolution theistic or otherwise. Sorry to misunderstand your position. You had referred to Genesis speaking in stages -- I wrongly assumed that this meant you believed the day-age theory. In the book "The Genesis Debate : Three Views on the Days of Creation," J. Ligon Duncan interacts with Meredith Kline on the framework view. Duncan believes in the six 24-hour day reading, and points out that the framework view is basically a 20th-century innovation. If people and animals were not vegetarians before the fall, then what does Gen 1:29-30 mean? Slippery slope or not, if the Bible describes the creation days as 24-hour periods, then that is reason enough to defend the idea. Adam, I do not doubt your sincerity. I believe that you believe the framework view allows you to believe Genesis while also allowing for an old earth. I would add that in my opinion, you are allowing mainstream scientific views of earth history needlessly color your reading of Genesis. Look, I have no illusions here. If the year were 1850, we probably wouldn't be having this conversation. I am well aware that our own understandings of the universe today are shaping conversations like this, but there is a difference between science causing you to re-examine the text to see what is really there and just believing what science tells you to believe. This wouldn't exactly be the first time in history that someone had a unique interpretation of Genesis 1 & 2. For example, St. Augustine called into question the Genesis account, as well. You see, Augustine questioned the Genesis account because he believed that God created everything all at once, in a moment. Why, Augustine asked, would God have to take six days to create when he can create ex nihilo with a word from His mouth? Augustine concluded that Genesis was written as a poetic tribute to the beauty of God's creative act in bringing the universe into existence. So there have been quite a variety of interpretations of Genesis through church history, none of them being made a litmus test for orthodoxy until VERY recent times. "And God said, 'Behold, I have given you every plant yielding seed that is on the face of all the earth, and every tree with seed in its fruit. You shall have them for food. And to every beast of the earth and to every bird of the heavens and to everything that creeps on the earth, everything that has the breath of life, I have given every green plant for food.' And it was so." I can find no prohibition here against eating meat, either for humans or for animals. This passage is not a comprehensive summary of man or beast's dietary intake, but rather, setting the stage for God's prohibition of the tree of the knowledge of good and evil in the next chapter. If you understand the text here to teach vegetarianism, you make the text say too much. No doubt people and animals were eating vegetables; that's undeniable. But were they refraining from eating any meat at all or killing any animals? No. Yes, not every church father has held to the six-24-hour-day-sequential view. However, as Duncan makes clear in "The Genesis Debate," this view was far and away the dominant view throughout church history. Departures from this view were rare, Augustine being the most notable. Adam, thank you for taking time with me on this issue. I am going to stop posting on it now. For readers who have been following this discussion, I would recommend the Answers in Genesis website for any other questions you may have. Thanks, John. You've been a real gentleman. It seems to me that when an iron axe head floats on water or when a man walks on water or when the earth stops rotating for an hour that we both allow for the consistency of some laws to wane a little bit. However, we'd also both agree that science is possible even though an axe head once floated in water. Now the parallel would be this: why don't you hold the buoyancy of an iron axe head in water or gravitational pull to the same criteria or standard that you do for the constant speed of light (i.e. induction is impossible if the constant is changed). Are you saying that the super novas really did happen but that God increased the speed of light? Otherwise, I think you have missed the point of the argument. The argument is not that God has never suspended the natural laws that he set in place, but rather that in the miracles in the Bible the miracles really did happen and they were not an illusion that people only thought they saw. Wizard, that is precisely my point. My point is not to address a universe where invariances in the physical laws occur, but to address a universe where what is seen does not reflect the truth. "Without consistent laws of the universe, induction is impossible." Such an assertion does violate the possibility of miracles. It would have been wiser for me to take issue with a universe where observed events may or may not have actually taken place. I do respect your argument that the observed world needs to correspond to reality. Of those in seminary who argued for an older universe, I don't recall this argument being put forth. While I'm not yet ready to argue for a higher speed of light at creation, I didn't want that possibility to mean that people were making God dishonest. My initial thoughts are that since light was created and separated from darkness on the first day, that this throws a wrench into the discussion. I don't even know how to talk about light in this way. How would you speak of light apart from light bearers? Well, when I read in Genesis that God seperated light from darkness, I think of it as God creating the visible spectrum of colors and light. We take this for granted because we're so used to it, but since nothing existed, God had to create a way for things to be visible. Does this seem like a stretch to you, or does something like this make sense? So in other words, God didn't just make a bunch of generic light and shove it off to one end of the universe and leave another part of the universe dark. I do not believe that this creation of night and day is with respect to earth and her rotation cycles, because at this point in the Genesis narrative, the sun does not exist. Something else is being discussed here. What do you think, Faris? I've never been pressed much on my view of Genesis before, so some of these things have not had a chance to be codified before now. My understanding of Genesis 1, is that God speaks through his Spirt that hovers over the waters of earth that is shrouded in darkness (v2). The first thing that God says is "Let there be light" (v3). As the Spirit continues to hover over the waters of the earth, God and the earth experience the first evening and morning together. For lack of a better way to say it, my guess would be that the visible spectrum is tied to the moment the earth is created in darkness (v 1,2). Otherwise you have invisible water and an invisible earth. So the light of 1:3 is an illuminating light revealing the creation that sits in darkness. It kind of like the stage lights going up in a play so you can see the set pieces and the actors perform. None of this directly deals with day four when we get the stars in their galaxies placed a gazillion light years away. My point in bringing up the creation of light apart from light bearers changes the way we might try and reconstruct the creation account. Just for clarification, would you draw a distinction between light created in transit and the alteration of the speed of light? From your arguement it seems that light created in transit is what produces the illusion and the alteration of the speed of light would not create an illusion anymore than if Adam were created as a 20 or 30 year old. Sure, I'd certainly draw a distinction. Either path meets my critique, however. If the speed of light is not constant, then our foundation for knowledge is badly compromised because the physical laws which we understand are inconsistent. If the light was created in transit, then stars are an optical illusion, and our foundation for knowledge is badly compromised because in a universe where the things we see do not reflect truth, then we cannot know what is or is not real. Just to be a little more specific...would you say the illusion happens when people claim the speed of light has changed but God hasn't told us about it? or would you say even if God changed the speed of light and explicitly told us he changed it that there would still be an illusion? Actually, I'm only arguing that the "light created in transit" theory results in an illusion. The theory regarding the speed of light changing doesn't meet this same criticism, because if the speed of light is not constant, then the stars we see are real and really existed, but then my criticism is that we do not have consistent physical laws by which to do even the simplest calculations regarding interplanetary bodies. This is my first time visiting the blog and found this post to be very interesting. It prompted a few (untested) thoughts I'd like to share. I agree that the “light created in transit” theory does lead to the conclusions you point out, and that it is very problematic to our notions of reality – and of God. I’m not sure, however that the idea of a variation of the speed of light (or of ANY physical laws) leads to skepticism about the universe or undermines induction at all – if this variation occurred during the process of creation, before it reached its completed state. This problem would only arise, it seems to me (and I admit I’ve never thought about this before reading this post) if we assume that by God’s decree, from the 1st moment of creation, ALL laws that would come to govern creation had to be active AND constant in the same way they would be AFTER the work of creation was completed – that God could not have allowed (determined), or the process itself ‘required’, that there be variation in the very matter/energy that God was bringing into existence ex nihilo (what does that even look like!!) and organizing. This would require that God, from the start, work without variance within the confines of laws which would govern the completed physical creation – that the laws which would control created matter, would also limit how He could work with the matter He was in the process of creating and organizing. This seems a grossly gratuitous assumption. Why must we assume that in those initial stages all physical laws were constant? Why is it necessary that the cosmos which is currently observable to man and subject to his scrutiny, display constant characteristics while it was still in a state of semi-chaos and before man existed? IOW, if Christ upholds the universe by the word of his power in its present state, could he not, in the process of forming it, by the same word, have sustained the semi-chaotic mass of energy in various forms, under the influence of different ‘laws’, with a variety of quantum fluctuations and other physical mysteries in the process of bringing it to its present form? (I say “could he not” not in regard to His ability, but in regard to the issue of integrity – both of God’s self-revelation and of the completed created universe’s consistency and reliability.) If part of the finished form contains certain remnants or effects of some of the processes involved in the pre-finished state – the result of unknown laws functioning during creation (e.g. perhaps light from existing, distant stars which is present to our senses now as the result of inconceivable processes during creation which differ from the ‘laws’ which obtain now, but which observable light, now ‘stabilized’, conforms to present known laws), does that point either to dishonesty on God’s part, or inconsistency or instability in the present form? Must God’s action and process of creation be open to our scrutiny, or is the product of His creation our proper domain? It seems that to seek to get to the bottom of these things pushes us into questions about “how” God did this inconceivable work of creating the universe, rather than asking into what kind of universe has God placed created man. Is peering behind the finished form our prerogative? Is mystery in this matter acceptable to our believing eyes? Of course, this would be considered an entirely inadequate response to one approaching this from a purely materialistic assumption. But are we to be so confined? Must their questions be ours? Can our answers ever ultimately fit their assumptions – especially our answers on ultimate issues? If there were divinely controlled variants in physical laws and processes DURING creation (and why isn’t this our assumption?) we might expect that the scientists who operate from a fundamentally flawed premise (not all – just the strict materialists), who must assume invariable physical constants from “go”, would scoff at such an idea; we certainly wouldn’t expect them to uncover the mystery. But a mystery it is and, I suspect, will always remain. This should trouble only those who can’t accept Divine intervention in physical matters – EVEN intervention and implementation of unknown laws while the physical cosmos was being brought into existence, being defined, taking form and being organized. When we consider that with all of its impressive advancements, science continues to raise larger questions and uncover greater uncertainty, when we realize that the models of the scientific community have led us only so far as to conclude as recently as a decade ago that approximately 96% of the estimated total matter in the universe is hypothesized, unobserved, undetectable dark matter and dark energy, when we consider that the existence and work of God is ruled out a priori in their approach to understanding His creation, why are their concerns about the absolute necessity of physical constants in the unobservable, inscrutable period in which the universe was being formed govern our own ideas of creation and the processes involved? Does this open us to the charge of putting forth a “science stopper”? Yes - but not legitimately so. Not if we consider the proper realm of science to be the completed, created cosmos; and not if we recognize the hidden, mysterious processes of God’s creative work to be undisclosed and inscrutable – even while He has declared “in the beginning God created the heavens and the earth” and commissioned us to exercise dominion under His Sovereign Rule. God told us He created and gave us a completed creation suitable for us. The how questions - or those that lead to the how questions, are leading us into territory beyond our ability, or right to know. The apparent incongruities do seem less significant when we recognize our creaturely limitations, abandon materialistic assumptions, and take Him at His word. I offer this as one who, nonetheless, is sympathetic to the Framework view. I just think the whole idea and process of the acts of Creation is very, very different from anything we can measure in the universe. I can’t conceive of what it entailed, the processes involved, the means utilized (at first there were NO means outside God Himself) or the state of things before they came to their completed form in which He placed man. I believe we are right to expect that at the time God placed man in the garden to care and rule, the state of things be such that they reflect reality, that they reveal truth about God discernable to the mind of man, and that they be governed by consistent laws according to which man can live, grow, and exercise dominion. I don’t think we must expect those conditions to have obtained before God had finished with the process of physical creation, or was ready to create man. Thanks for letting me throw this out there. Sorry if I missed something blatantly obvious…and sorry for the length and the meandering and scientifically uninformed quality of these thoughts. You're absolutely right, I think. Earlier, Faris stated that my argument "proves too much," which I conceded. But that concession basically ruins half my argument. The argument succeeds in addressing, I think, the theory that light was created in transit (we agree on that), but it is an ineffective tool in dealing with a variant speed of light. If, in fact, I demand consistent physical laws from the very first moments of the universe (which many scientists concede they don't know what the physical laws were like in the universe's first moments), then I shoot myself in the foot and I am virtually demanding a deistic world where God simply gets the ball rolling and then steps out of the way. So my argument in its current form addresses the "light created in transit" theory, I think we'll agree, and it would have been convenient to have a one-size-fits-all argument to deal with this complex question. Nevertheless, I am toying with taking the pragmatic approach with regards to the "variant speed of light theory" and arguing that even if we don't know what the speed of light used to be, if we don't choose to regard it as always having been consistent, we undercut the possibility of knowledge. This sort of argument might allow me to have my cake and eat it, too. In it I get to concede that the physical laws may not have been the same as they now are and at the same time demand that our beliefs regarding the creation account not contradict present measurements of the speed of light because it would undercut the possibility of interpreting general revelation through scientific method. So let me have it, Rick. On a scale of 1 to 10 (10 being the sleaziest), just how sleazy is this approach? Adam, other than the speed of light, what other evidences do you see for an old universe? In my opinion, distant starlight is the only reliable indicator that the universe is very old. I find carbon dating to be unreliable (check out what happens when lava rocks get carbon dated). You wrote: "Actually, I'm only arguing that the "light created in transit" theory results in an illusion." I'm going to assume the best here and assume that you hold to the historicity of Adam. Adam was created with the appearance of age. Was that an illusion? I made an earlier comment as 'ReadingPhan' but it appears easier to sign in under my 'James Caldwell's' account (of "give them Watt's boys" fame). Adam's appearance of age is not the same thing, in my opinion, as seeing supernovae events which have never really taken place. A parallel between the two would be if we could see baby Adam, but someone tried to tell you that Adam was never a baby. Sorry about the delay. Time is a problem for me. I will be briefer here than I like. Sarfati also documents old earth creationist (OEC) problems with light travel time problem related to the Big Bang on pp 157-159 of Refuting Compromise. I couldn't find any refernce to this on Ross' website. 2) My real concern here isn't the age of the earth. My concern here is what the OEC have to do to the scriptures for their systems to work. In Jn 17:17 Jesus prayed to the Father, "Thy word is truth." I start from the scriptures and reason outward which is what I fear you haven't done here. When David wrote in Ps 119:160, "The enirety of Your word is truth. ", I don't think that the Pentateuch had any false teaching in it for David, issues such as 6/24, the genealogy of Genesis 5 or a global flood. Ex 20:8-11 points to a literal 6/24, in Mk 10:6, when answering a question about divorce, Jesus said, "But from the beginning of the creation, God 'MADE THEM MALE AND FEMALE." These are scripture's own testimonies to 6/24. As for scripture's testimony concerning a global flood, in Mt 24:37-39 Jesus said "But as the days of Noah were, so also will the coming of the Son of Man be. For as in the days before the flood, they were eating and drinking, marrying and giving in marriage, until the day that Noah entered the ark, and did not know until the flood came and took them all away, so also will the coming of the Son of Man be. In 2Pet 3:4-7, Peter writes, (speaking here of scoffers) "'Where is the promise of His coming? For since the fathers fell asleep, all things continue as they were from the beginning of creation.' For this they willfully forget: that by the word of God the heavens were of old, and the earth standing out of water and in the water, by which the world that then existed perished, being flooded with water. But the heavens and the earth which are now preserved by the same word, are reserved for fire until the day of judgment and perdition of ungodly men." Thw word world in the quote above is kosmos, more a global term than oikoumenē a more local term (Lk 2:1). Peter is writing about a global flood here, not a local one. Another issue is Rom 5:12 and no death before the fall. At the end of the 6th day God declared his creation not "good", but "very good." Satan hadn't fallen so Adam hadn't either. There was no death, no corruption, the creation was still perfect. WCF I.IV teaches that Scripture is true and self-authenticating and WCF I.IX teaches that scripture interprets scripture. With OEC much scriptural gymnastics must be done to also hold to truth of the scriptures. This is my real problem with OEC. It is very hard for OEC and the scriptures to both be true. I believe science is also on the side of YEC. My family is waiting forme and I have to go. I stop by here frequently and enjoy y'alls site. I'm going to bow out and give you the last word. Thank you for your congenialty. God bless. Thanks for the kind words about the blog; I've appreciated your interaction with me, as it's definitely given me a lot to think about. 1) My early Christian life and my conversion related very closely to Hugh Ross' ministry, and I have referred to his site several times here in this discussion, but I do not agree with everything he says, and am not attempting to offer any apologetics for his views. He's a better spokesman for his own position than me. For example, I do not hold Ross' view that the flood was localized to the area of Noah and his family; I affirm that the flood was worldwide, as the text seems to say. 2) When you affirm that the old testament did not contain any false information, you seem to been making the thinly veiled implication that the OEC view results in the OT having errors. OECs would definitely take issue with this characterization. 3) Jesus' comment in Mk. 10:6 affirms the creation of a male and female in the beginning but it is straining at a gnat to say that this reference by Jesus means he understood the creation days to have been 6 literal 24 hour periods. 4) Adam and Eve died spiritually, the moment that they disobeyed God. It was several hundreds of years before they died any sort of physical death. Death entered our realm when Adam and Eve fell, but it was worse than spiritual death; it was the kind of death which seperated man from his creator. In Genesis 3:22, after Adam and Eve have fallen, what does God say? He says, "Man is now like one of us, knowing good from evil." He then sent man out of the Garden of Eden so that he could not "reach out his hand and take also of the tree of life and eat, and live forever." If Adam was created without an expiration date, then why would Adam's immortality hinge upon his ingesting of the Tree of Life? Yes, I am suggesting that Adam and Eve were mortal and only would have lived forever if they remained in good standing with God, eating of the tree of life. This did not happen, of course, and the rest is history. Perhaps this puts me in strange company, I don't really know. But if I'm right, then a different kind of death entered into creation than physical death. The kind of death which the fall brought is worse than a decaying body or soulless animals killing one another. It is the kind of death which seperates creation from Creator. If what I'm saying reflects the truth of the world around us, then the idea of a food chain (involving animal death) existing before the fall is not foreign or strange. Go ahead and beat on me a little bit; I've never had anybody take issue with this view of mine, and I don't really now of anybody who holds to it. Maybe I'm the only one and I'm treading on thin ice here, I don't really know. Since I've never really publicly spoken about my views on the creation before, I've never had to test my beliefs before. Just a quickie because it may be 5 days sometimes for me between posts due to my obligations. As to your point 3) "Jesus' comment in Mk. 10:6 affirms the creation of a male and female in the beginning but it is straining at a gnat to say that this reference by Jesus means he understood the creation days to have been 6 literal 24 hour periods." If Jesus affirmed male and female in the beginning, how can the earth be 4.5 billion years old, or an old earth? When Jesus affirms male and female at the beginning he is affirming a young earth because male and female were there from the start, thus my reference to 6/24. Jesus is affirming that from the very beginning of humanity they were male and female. The reading you are advocating, if you wanted to read it literally, would put the creation of Adam and Eve at day one. After all, everything after that isn't really "the beginning." If you're willing to read "the beginning" a litte more broadly, then what Jesus is saying makes a little more sense given both of our views. I just don't think it's a very strong verse to make a stand on. God created for six days so I don't have to hold to day one. 2Th 2:13 "But we should always give thanks to God for you, brethren beloved by the Lord, because God has chosen you from the beginning for salvation through sanctification by the Spirit and faith in the truth." Mk 10:6 "But from the beginning of the creation, God 'MADE THEM MALE AND FEMALE." I try to craft something I write so that I don't come across the wrong way, so please take my comment, "have a blessed Lord's Day", as a sincere comment and not a sarcastic one. You're a gentleman, James. I wouldn't have thought you were being sarcastic for even a second. From a plain reading of these verses 'the beginning' is obviously the creation (week). Pink puts it, in his commentary on John, as "the beginning of time." Jesus says that Adam and Eve were there during that time period. James, it seems to me that you have broadened the idea of what is "the beginning," just as I have done. This may just be an irresolvable point of disagreement, because I think this point could go either way, depending on all the other factors involved. But of course if that's true, then Jesus' saying they were male and female from the beginning is not a definitive statement of belief in a literal 6-day creation week. To say that God made man in the beginning on day six, is a far cry from "in the beginning after light traveled 18 billion light years, God created man." If I had a grand opening of a restaurant that continued through day six, no one would say, "WHat gives... its day six and you are still having a grand opening...your restaurant is older than my grandma"
However, if I had a grand opening sign on my restaurant after sixty years of business, then my place of buisness would be older than some grandmas. There is only one restaurant that is stretching/boradening the definition of "Grand opening." Whenever I press post, I always highlight my words and choose "copy" just in case something horrible like this happens. If the entire argument you just gave me is true, then it works for my position, as well. The creation of man, for me, is also "the beginning," is it not? I hope you had a blessed Thanksgiving and were able to spend some quality time with your family! Anyway, I haven’t broadened what the Scriptures say about ‘the beginning’. The Scriptures have narrowed that down to what that event was. When Jesus was speaking in Mk 10 he didn’t say ‘one of the other or different beginnings’, (or 15.4 billion years ago the universe was created, then 10.9 billion years later the earth was created and then 4,499,994,000 years later man was created) he said ‘the beginning.’ There is only one ‘the beginning’ scripturally. ‘The beginning’ is a time marker, the first time marker. That is the creation week. Let’s look at these Scriptures. In ‘the beginning’ God created the heavens and the earth. In ‘the beginning’ God laid the foundation of the earth. Jn 1:1-2 comments on Jesus’ eternality, Jesus is without beginning or end and was with God in ‘the beginning’. Jesus is before 'the beginning'. Colossians and Hebrews tell us that Jesus is the Creator. And Jesus said that Adam and Eve were there at ‘the beginning’, not a ‘different or another beginning’. You’re right, because Adam and Eve were there at the beginning doesn’t define it as 6/24. But, it does put a scriptural bullet right through the heart of evolution. But, Jesus affirms the Genesis account as literal, which does affirm 6/24. When the Psalmist wrote in Ps 119:160, “The entirety of Your word is truth” did he, or another ancient Israelite, have any reason to think that when he read the Pentateuch that it wasn’t face value truth? That when the Scriptures said, “So the evening and the morning were the first day.”, that it wasn’t a 24 hour day? Or, when The Scriptures said that we work six days and rest one because that is the way God worked and rested during the creation week, did the Psalmist have any reason to think that God really didn’t do it in 6/24? That God’s word really wasn’t true? Ps 119:27 says: “Make me understand the way of Your precepts; So shall I meditate on Your wonderful works.” 119:27 teaches that when we study God’s creation we reason from the Scriptures out since the Scriptures are truth as he proclaimed in 119:160. Adam, I fear that you are interpreting Scripture by science and not by Scripture. You are denying a face value reading of Scripture because it doesn’t fit into your scientific beginnings construct. Modern science is based upon Empiricism which is self refuting and whose presupposition is fatally flawed. There are those out there who study God’s creation according to the method in Ps 119:27. Just reading the comments on light existing before the sun, moon and stars. There was a light bearer present, the Holy Spirit. Gen 1:2 "And the Spirit of God was hovering over the face of the waters." Ps 104:2 (speaking of God here) "Who cover Yourself with light as with a garment" 104:5 "You who laid the foundations of the earth, so that it should not be moved forever"
Rev 21:23 "The city had no need of the sun or of the moon to shine in it, for the glory of God illuminated it. The Lamb is its light." I did have a nice Thanksgiving; I appreciate the well-wishes and hope you had the same. This idea that the Bible is the only acceptable source of knowledge about the world seems problematic to me. While there is no doubt that it is the inerrant, perfect, final authority, you seem to exclude the possibility of knowledge from God's natural created revelation, which also speaks truth (albeit in a different function). I would never turn to creation to find out about Jesus, but if I want to know how old the creation is, it doesn't seem all that controversial to study it and try to find out. The Bible has the final word on matters, but it is also true that the Bible will not contradict the facts of nature. If we know something about the physical world which is basic and not terribly complex (such as how long it takes for starlight to reach earth), then it stands to reason that there must be some harmony between the special and the natural revelation. They are not at odds; they are all revelations of the truth-telling God of the universe. We are not gnostics. We do not believe that God is truth and the creation is an evil lie. I know you are not saying that, but it is the implication of what you are saying, if you exclude natural revelation as a possible source of knowledge. By the way, why take all of these Biblical passages describing God being metaphorically covered with light (Jesus is the light of the world, is He not? And yet we still need the sun and moon) and read them as literal when it comes to the Genesis narrative? Pursuing this a bit further, do you really believe that literal light somehow emanated from the Holy Spirit at creation? Do we have anything in the text of Genesis which even remotely intimates that the light of creation, prior to the creation of the sun, came from the Holy Spirit Himself? I hope you don't bow out quite yet, James. I'm interested to hear your thoughts. If I'm off-base and need to be straightened out, I want that to happen. I want to believe the truth about God and His universe, but I need to know if these matters are a draw or not by having conversations like this one. I only have a moment but I'll stay in and answer you, hopefully by early next week. I'm not implying that you are gnostic in any way. Hopefully you'll understand me better after my response. Thanks for way you have handled this. This can be an emotional issue but you have been a gracious host. Actually, James, I was implying that your view has gnostic tendencies in denying that creation conveys truth. Though of course I am not accusing you of any sort of fully-gnostic belief system. But the creation is good, and it is not deceptive, and it can tell us true things. OK, I can't stand it anymore! I have to get back into this. Yes, I know I said I would exit this debate, but some things just need to be answered. Creation can tell us true things, but if our observation of nature tells us one thing, and Scripture another, then Scripture trumps our observation. Best example: We observe that when someone dies, they stay dead. But Scripture tells us that resurrections have happened, and will happen again. Which do we believe, our observations, or Scripture? YEC's are Gnostic? -- This is the pot calling the kettle black. YECs read Genesis 1 as a plain narrative, and do not attempt to reckon it as poetry (framework hyphothesis) or as long ages. Neither view got barely a mention in all of church history (yes, there are exceptions, but that's what they are -- exceptions) until Charles Lyell et. al. began claiming the Earth was much older than the Biblical record would allow. So we misunderstood Genesis until two hundred years ago, when scientists informed us of the right way to view Earth history. What was the Reformation about? It was about many things, but at the top of the list was the idea that Scripture was to be trusted above man-made authority. And that's exactly what scientific consensus is. It's a man-made authority that is often right, but sometimes wrong. So we misunderstood Genesis until this 'secret knowledge' came to light, thanks to scientists who told us that the Church had been wrong for nearly two thousand years. Moses himself (quoting the Lord) saw the six days as literal history, on a 24-hour scale, in Exodus 20:9-11. And the church by and large followed his lead, until the time of Lyell. So we have come full circle again to the question: Does Scripture restrict us to the six-consecutive-24-hour-day view, or not? If it does, then the Church has been correct through most of her history, and the framework and long-age views are not correct. It's nice to see you again, John. I knew you couldn't stay away! The gnostic view, which I am working with is that "there is no life, truth, or substance in matter." My question to you, John, is what you believe about creation. I personally believe that God's creation is good, but that it labors under the curse of God. The creation "groans" as it were. This means that for mankind, life is a struggle and a challenge. It does NOT mean that life is illusory, that we cannot trust what we see with our own eyes. It means that Scripture and Creation are not enemies. They are two pages from the same book. Creator who made them both, albeit in substantially different ways. Natural science does not tell us that resurrections can't happen, by the way. It can only tell us that it has not SEEN a resurrection. Many draw the philosophical implication that they do not therefore happen, but this is only a fair inference if one can justify inference. Since the materialist cannot justify induction (ala Hume's criticism of induction) then science can tell us nothing about the future or what will happen with bodies which lie in the ground. Naturalistic Materialism tells us that resurrections cannot happen, but not science. Such people use science to their advantage, but the assumption that resurrections cannot happen is based on an a priori commitment about the nature of the universe, an assumption that cannot be substantiated. Adam, thanks for the response. Well, if you don't think the Resurrection fits the bill for an example of a miraculous event over-ruling what our senses tell us about the world, then there are many other miracles to choose from. Science tells us you can't feed 5000 people with just a few loaves and fishes. Science tells us a man cannot walk on water, in the way Jesus did. Science tells us you can't turn water into wine in an instant. (By the way, that's a good example of the 'appearance of age.') Etc. and etc. The Creation was a miraculous event in the past, and we learn about it primarily from the Bible. You are correct that natural revelation and Scripture need not be enemies. But where our interpretation of data conflicts with what Scripture teaches, our loyalty must lie with the word of God. And I stand by my example of the Resurrection as a worthy analogy for our discussion. When a dead body has been in a tomb from Friday night to Sunday morning, it's truly dead, and not just according to naturalistic materialism, but to science itself. Science is the study of how the natural world works -- how the laws of nature play out in our world. And according to the laws of nature, a dead body stays dead. That's what made the Resurrection a miracle. God sometimes suspends or supersedes these laws when He works a miracle, as he did in the Creation as well as the Resurrection. There are many examples of YECs who have earned advanced degrees in the natural sciences, who would take issue with your characterization of YECs' attitude toward nature. Enough philosophy -- let's talk some straight Scripture. In Exodus 20: 9-11, Moses, speaking for God, makes a direct parallel between our six-day work week and God's six-day creation week. Surely you would agree that any of Moses' original hearers would have assumed that God's week was just like our week, from this passage. We work six days and rest one, because that's the pattern God set for us, when He did His work in creation. If you had told them, "Oh, that's just poetry, you know," or "Those days were really millions of years long," you would have gotten incredulous stares. Consider the orthodox Jews of today. To them, it's the year 5770. What happened in year 1? Adam and Eve were created. They simply read the books of Moses in their most straightforward manner, and they come out as YECs. True, their understanding of Messianic prophecy is wrong, but this may well be a case of God using the foolish things of this world to shame the wise. I am not trying to argue against a supernaturalistic worldview. We live in a universe where miracles have happened. This is not a point of contention. Furthermore, what I am saying is not in contradiction to a universe where miracles occur. Scientific knowledge consists primarily in observation. If a miracle occurs, science may have a challenge explaining said miracle in terms of a philosophical precommitment to naturalism, but in and of itself, scientific knowledge is not nullified by the reality of miracles. Many scientists, such as Isaac Newton observed the universe and recognized the laws by which it operated, but he did not believe that holding to a mechanistic fatalism was necessary in order to honor true scientific method: "Gravity explains the motions of the planets, but it cannot explain who set the planets in motion. God governs all things and knows all that is or can be done." The reason the universe has room for both miracles AND science is because miracles are not the normal way in which the universe operates. When they occurred in the Bible, they served specific revelatory purposes, and they always happened for specific reasons. For this reason, we may rest easy in the knowledge that the universe we live in operates under consistent laws which God has very rarely (relative to the massive amount of times when miracles weren't happening) violated. Hence, the scientist may measure the time it takes a beam of light to pass from point A to point B and is epistemologically justified in concluding that the speed of light and is 299,792,458 metres per second. What you are telling me, John, is that God has in some way bypassed the speed of light at the moment of creation. This may be in keeping with the more traditional reading of Genesis, but it creates epistemological problems in observing the natural revelation (as I've already pointed out in the main article). What I am proposing is a reading of Genesis which does not create far-reaching epistemological dilemmas and which also still makes sense of the text. When it comes to the text, I know that there is no unanimity amongst solid evangelical scholars on what sort reading we are to give to the text of Genesis. I have spoken with solid Old Testament professors who say that there is plenty of room for an Old Earth reading of Genesis, even though they themselves held to a young earth view. What you should acknowledge, John, in my opinion, is that there is room, textually speaking, for disagreement on this point. Yours is the harder point to prove, anyway. You have to prove that the YEC view is the only view which is possible given the text, while all I have to argue is the possibility of another way. I think that the framework view is a cogent and conceivably effective way of making sense of both natural and special revelation while doing no harm to either. I know that there are YEC scientists who would be distressed that I, by default, reject the possibility of YEC science, and I hope they will forgive my assuming them out of the discussion, but my own arguments regarding starlight preclude me from taking very seriously a "scientist" who believes in a universe where optical illusions exist (again, this is not an issue of the appearance of age, it is an issue of seeing what has never existed). Regarding the texts you quoted, Yes, Moses spoke of a six-day work week and contrasted that with the week in which God worked. He was appealing to the text of Genesis, but it is no argument against what those days consisted of in more detail. For example, if those days consisted of different phases of creation or those days are poetic expressions of the work of God, this does not change the fact that God meaningfully chose to express his act of creation as six days. This is certainly significant, still, whether the days were literal 24 hour days or not. As far as your appeal to the Jewish calendar, it again proves little except that they have been counting since Adam's creation. It's only a shame they didn't start counting from the first moment of creation, then we might really get somewhere! You use an old debating tactic when you say the following: "Surely you would agree that any of Moses' original hearers would have assumed that God's week was just like our week." Even before the age of scientific enlightenment, there was no uniform view of what the days of Genesis consisted of. Whether it was Origen or Augustine, many of the early church fathers pondered numerous possible readings of Genesis. If these pre-modern commentators had their own doubts, then I see no reason why Moses' own listeners might not have wondered what the nature of these "days" Moses spoke of really consisted of in more detail. Perhaps they, themselves, understood that God had "lisped" to them in His written word, telling them what they needed to know, but not every exhaustive detail. Unfortunately, this is mere speculation, since neither of us have commentaries by Moses' immediate listening audience. All we can do is study his words and study the words of those who have studied his words, ad infinitum. Ultimately, we must as ourselves the same question Moses' audience must have asked: "I wonder what grand events took place during these 'days' which we are not able to derive from the text..."
It is at this point where we have no choice but to turn our eyes to the Heavens, witnessing stars and supernovae which existed billions of years ago and ask ourselves whether this is all an illusion or not. To deal with the light issue first. The Scriptures aren’t just dealing with this just in a metaphorical manner. I’ll remove the Holy Spirit from the equation and just use the fact that Jesus was there as Creator. Rev 21:23 says "The city had no need of the sun or of the moon to shine in it, for the glory of God illuminated it. The Lamb is its light." If Jesus will light heaven forever without a created light source. He was clearly there before the sun, or any star was created, it is perfectly acceptable that He was the light. God doesn’t need a created light source to be light. Moses’ face shone because of God’s brightness. In the theophanies God is described as brightness and when Jesus appeared to Paul flashing light covered Paul. These aren’t metaphorical statements. And, being that God had just created the heavens and the earth, ex nihilo, I don’t have a problem saying the light could have emanated from Jesus himself, just like it will be in heaven where the lamb will be the light. Ps 104:2 says that Jesus is covered with light and 104:5 that He laid the foundations of the earth. Is there going to be a created light source in heaven? I offered you a refutation of Ross on the speed of light debate. You just dismissed it by stating that you did “not agree with everything he says, and am not attempting to offer any apologetics for his views.” But, this is your specific point, the constancy of the speed of light, that is what they were debating. You can’t dismiss it that easily. Humphreys is offering argument that your premise here is wrong. I never said that the bible condradicts the facts of nature nor have I said that creation was an “evil lie.” I just don’t accept the presupposition of Empiricism which is what mainstream science is built upon. A couple of posts upstream I mentioned this that it was flawed. Empiricism is built upon the premise (or presupposition) that ‘all knowledge is based upon observation.’ You even recognized this when you wrote in your answer to John, “Natural science does not tell us that resurrections can't happen, by the way. It can only tell us that it has not SEEN a resurrection.” Empirical science doesn’t even recognize that their premise is a presupposition, but as a fact. The problem with this is, if the ultimate standard is that ‘all knowledge must be observed’ or ‘seen’ as you put it, it never has been observed that, ‘all knowledge is based upon observation.’ It is a self refuting presupposition and is fatally flawed. You dismiss it, but there is plenty of work out there saying that you are wrong and there also are thousands of articles documenting the problems with evolution. You acknowledge that there are YEC scientists and I’m almost 198% sure that you would say that I thought that YEC scientific work was being done better than OEC scientific work. And, for the record, I do think that. That makes your Gnostic charge false and less than fair. General revelation doesn’t trump special revelation. You are denying the plain reading of Scripture, saying that it doesn’t mean what the face value of what it says, in more than one spot in Scripture, because of debated science. James, you gave me seven links altogether to read. My apologies, but I didn't read them all [though I did read about Humphreys' time dilation theory, and though it's interesting, I'm just not qualified to evaluate it]. As far as your refutation of my gnosticism charge goes: fair enough. I guess I needed to hear you say that science is not the enemy, here. I need to be clear on one thing, because your comment on evolution leads me to think you believe I am an evolutionist. Let me be crystal clear: I believe that human beings are special creations, and that they were created immediately by God, not through any evolutionary process. For that matter, I believe the same about animals. I am not an evolutionist, in any sense. Just to prevent any misunderstandings. "[W]hen The Scriptures said that we work six days and rest one because that is the way God did it when during the creation week, did the Psalmist have any reason to think that God really didn’t do it in 6/24? That God’s word really wasn’t true?" This last sentence which you use to summarize, is hardly a fair representation of the OEC position. In no way would I EVER say that in any sense God's word "really wasn't true." Given the framework view, every word of Genesis is true. You just disagree with it. "When an ancient Israeli taught his child a plain reading of Genesis One was he teaching his child falsehood?" A tremendously presumptuous question, to say the least. Do you have any evidence, whatsoever, that ancient Israelites did not read Genesis in poetic terms? Do you have any ancient evidence that Jews would have been opposed to a more complex understanding of Genesis than a naked reading of the text yields? I also do not accept that my belief that Adam and Eve were created on the sixth "day" stands in opposition to their being spoken of as being there "in the beginning." Maybe I'm crazy, but regardless what the meaning of "day" is, I still believe Adam and Eve were created on the fifth "day," regardless what that means to either of us. My view still sees Adam and Eve as being in the beginning. I'm sorry if that doesn't make sense to you, but I hope you can see how this would be the case. You've been very polite with me, James, and I appreciate you sticking to the issues and not using ad hominem attacks like some might be tempted to. Although I must say, the readers here at BTB are real gentlemen and professionals, and I really don't expect crazies on here anymore. I meant to say Adam and Eve were created on "day" six, not five. OK, Adam, thanks for your time and your thought into our discussion. I really do think now it is time for me to sign off. I'll give you the last word, since it's your blog, after all, and you've graciously allowed James and I the opportunity to cross-examine your position. The time-dilation theory I mentioned above seems to me to be a reasonable way to accommodate the unchanging speed of light with a young earth. In this scenario, the speed of light remains the same, while time itself becomes the variable, as expressed in Einstein's theory of relativity. Your impression that the time-dilation theory is just another twist on changing the speed of light is mistaken, IMO. So your young-earth professors say there is plenty of room for an old-earth reading of Genesis? I would agree with a qualification, and maybe it's the same one they would employ. I would agree if we meant that your view of earth history need not be a barrier to church membership or leadership, and that it is not, in itself, a test of true Christian faith. But that does not mean that a consistent YEC proponent would say, "I think the YEC view is correct, but the old-earth view might just as well be right." Regarding your comments on Exodus 20:9-11, I think it's plain to any unbiased reader that the original hearers would have understood the words to mean that God had a 24-7 week like we do. I understand your response, but I find it unconvincing. Yes, the orthodox Jewish calendar counts off from Adam and Eve. But surely I don't have to explain the idea that since "Let there be light" and "Let us make man" occurred within six days of each other, the two events can be reckoned as happening virtually simultaneously. I believe James has elaborated on this point as well. The appeal to the Jewish calendar is not so easily dismissed. Old debating tactic? I honestly was not aware that I was employing such. I meant the words not as a tactic, but to point out that the meaning of Exodus 20:9-11 is plain on its face. You wrote, "Even before the age of scientific enlightenment, there was no uniform view of what the days of Genesis consisted of. Whether it was Origen or Augustine, many of the early church fathers pondered numerous possible readings of Genesis." The view of the Church through most of its history has been far more uniform than you are allowing. I refer you again to the Duncan work I cited above. You wrote, "It is at this point where we have no choice but to turn our eyes to the Heavens, witnessing stars and supernovae which existed billions of years ago and ask ourselves whether this is all an illusion or not." 30 years ago, you would have had a point. But today, I don't know of any prominent YEC leader who takes that view, for the very reason you mentioned. Adam, your interaction has been stimulating, and you have conducted yourself as a Christian gentleman. I appreciate the forum you have provided for this important discussion. As a final word, one reason I am attracted to the YEC view (aside from the fact that I believe the Bible teaches it) is that it allows the original creation to be truly idyllic. No death, no tears, no suffering, just as it will be again someday. When we see physical death today, it is a reminder to us of the effect of sin. Sin entered the world, and death through sin. When my children see a dead animal, or one of their pets dies, I can comfort them by telling them that this is not the way God originally intended the world to be. Death in all its forms is an intruder to our world, and is here as a result of sin. Adam, in your view, physical death and suffering existed long before the Fall, and have no connection to sin. Adam, thank you again, and may God bless you and your family this Christmas season. I regret accusing you of using an "old debating tactic." I wish I hadn't said it; it was an inappropriate thing to say and quite unfair. I appreciated your further interaction and wish you all the best. Maybe we'll see you at a later time around BTB. Instead of taking the last word, I'll let you have it and just thank you for the kind things you've had to say. I hope you have a blessed Christmas!